Nothing, ABSOLUTELY NOTHING, is impossible in the house of LIFT. Dream Big!! Tina and Derek met while working in a gym and the sparks immediately began to fly. 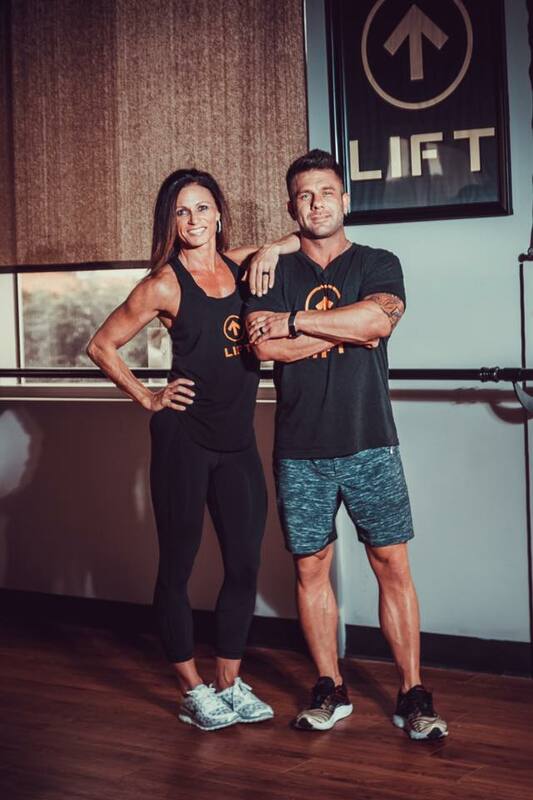 Their connection was founded firmly on fitness and faith and shortly thereafter they became partners in life. Little did they know, however, that they also would become partners on a soul lit journey much larger than that. They soon realized that they shared a gift and held a vision that would forever change their lives and the lives of others. They would stop at nothing until that vision was a reality. The Carlton’s dreamed of a fitness studio where family and faith were the foundation from which personal growth occured. A place where EVERY person mattered and where love was the cornerstone.Tina and Derek became so consumed with this dream that they stayed up night after night trying to develop a unique fitness concept that would fit these needs. In November of 2015, with nothing but one credit card and two convicted hearts, LIFT was born. Tina and Derek have not traversed easy paths to reach this point, but they fully believe that every tribulation served a purpose in edifying their mission. As they say, “fall down 7 times and get up 8.” It is this tenacious mindset that fuels Tina and Derek every single day, as they help clients understand that they have a voice and that they have a choice. It is never too late to make a change.